A Florida judge has ruled that the state will have until Saturday to potentially count mail and provisional ballots that were rejected due to mismatched signatures, reports the Washington Post. Why it matters: Assuming the signature issues are resolved, the ballots could play a significant role in Florida's Senate race, where Gov. 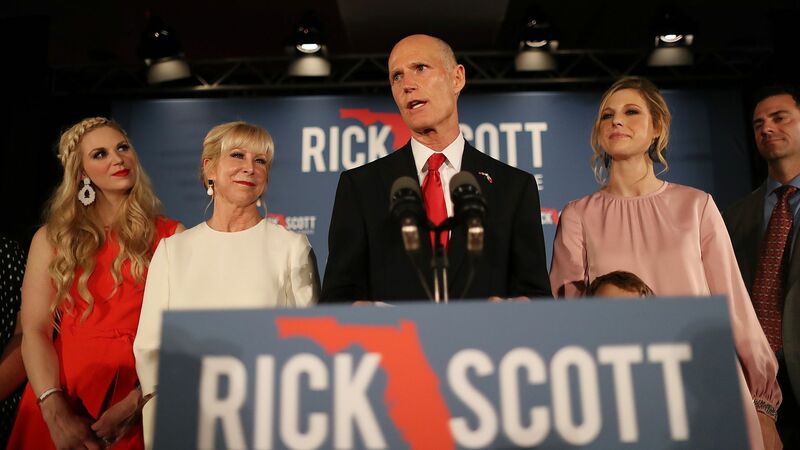 Rick Scott is currently leading Democratic Sen. Bill Nelson by fewer than than 13,000 votes amid Scott's groundless claims of voter fraud. The judge said there are more than 4,000 ballots in 45 counties that were not counted due to inconsistent signatures — and that the number in Florida's other 22 counties is not known. Scott's team announced Thursday it would be "immediately appealing" the decision, per CNN's Jim Sciutto.